experience to the next level and boost your winning chances. Stay with us to learn all about new mobile slots bonus features introduced in 2018. The Swedish software developer is well-known for innovations they implement in their slot releases. The year behind us was fruitful for NetEnt with a dozen slot machines launched. While some of them are clones of some older releases like BerryBurst, others were a real feast for the senses and your wallet. In this article, we will mention a few of them that left us in awe. 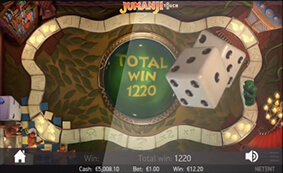 Jumanji – The branded slot based on the popular 1990s movie introduced a board game element to a slot machine. While the mobile slot comes literally packed with bonus features triggered at random within the base game, its bonus game is a real treat. Just like in a board game, you will roll the dice to win cash prizes, free spins enhanced by extras and more dice rolls. Hotline – Another NetEnt 2018 release that boasts great story and visuals. Targeting players who feel nostalgic about the 1980s and the popular TV series Miami Vice, the slot introduces the Hotline Bonus Bet feature that functions like a side bet. Hotline Bonus Bet will double and triple your stake while providing you with a chance to get more expanding Wilds. More expanding Wilds means more respins with triggering Wilds turning sticky and promising some big wins. Vikings – The newest NetEnt slot on the list is a novelty in many ways. Using the theme inspired by the hit TV series, the licensed slot boasts impressive visuals and sounds with the gameplay starting at 5 reels and 243 ways to win. It benefits from the Hotspot feature with a stacked Viking symbol transforming all other Viking icons in symbols of a kind. The highlight of the game, though, is the Raid Spins feature played at 7 reels and offering no less than 78,125 ways to win! What’s more, during free games, the Hotspot feature will be active on the three central reels throughout. Play NetEnt slots at Mr Green! Playtech is popular with slot enthusiasts thanks to their progressive jackpot network. Apart from a chance to hit life-changing sums, their mobile slots also offer exciting bonus features that can boost your winning chances. Astro Babes – The 2018 slot using a retro SF theme features five beauties that appear in stacks covering up to 8 positions on the reels. When landing on the reel of the corresponding colour they will transform into Wilds. In addition, the game offers up to 50 free spins with Astro Babe symbols showing up on the corresponding reels being nudged. Thanks to this feature, you can easily trigger the Astro Wild feature that can turn up to 5 reels Wild. Anaconda Wild – The slot introduces the Stone Serpent feature triggered by Wild. Thanks to it, the snake shows up in the Wild’s position and on each respin it moves one position while leaving extra Wilds in its path. Respins are awarded as long as the snake moves. Once it returns to its starting position, the feature ends. Play Playtech slots at Winner Casino! Microgaming is another industry’s behemoth with a growing portfolio. In 2018, they joined forces with several independent studios to offer more entertaining games. We have selected two out of more than 20 titles launched at Microgaming-powered online casinos last year. Fortunium – Fortunium impressed players with its steampunk theme, an unorthodox 5×5 grid and the Mystery Symbol feature revealing symbols of a kind. Brought to you by Stormcraft Studios, the game comes with an innovative element in the form of the Win Booster feature that grants only high-value symbols and Wilds to be revealed by the Mystery Symbol feature. If you opt for it, your stake will be increased by a half. Reel Talent – Reel Talent developed by Just For the Win uses an odd theme with different animals taking part in a talent show. It introduces the innovative Symbol Storage feature triggered on any win in the base game. Each winning combination activates respins and once you store 3 symbols, the Superspin feature is unlocked. It is played through 3 levels with stored symbols appearing on the reels only. To make the most out of the game try to trigger the feature with symbols of a kind as they grant the biggest payouts. 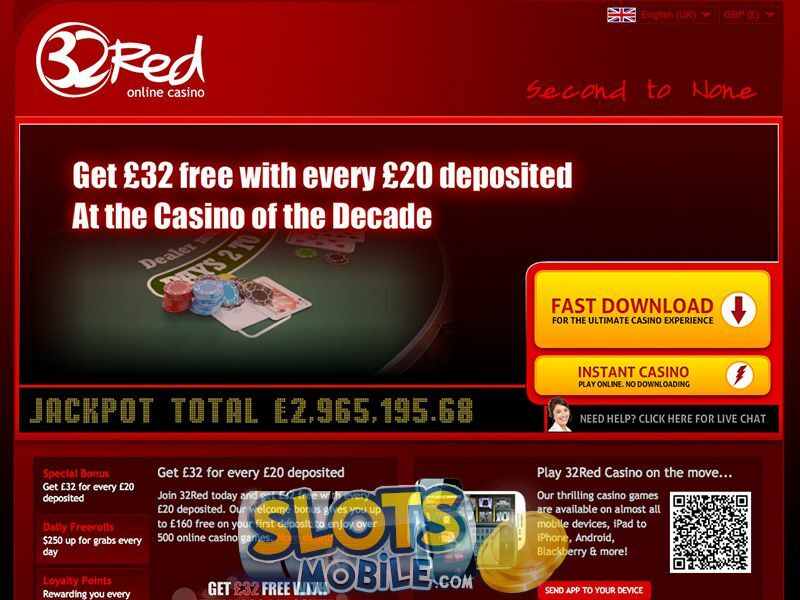 Play Microgaming slots at 32Red Casino! We have to admit that Betsoft in 2018 was not as prolific as before. One of the main reasons was the focus the company had on Max Quest: Wrath of Ra, a game that surpasses a standard video slot and combines the elements of video games with real-money gameplay. Since it is not a video slot, we will not talk about it in this article. Yet, you can still give it a try on your mobile device. Chillipop – Taking you to Mexico where you will have to create clusters to win prizes, the Betsoft 2018 mobile slot offers free spins with expanding reels. Collect Mule Scatters to make the reel set expand up to 8×8. The game introduces the Mule Trail that will display your progress while each Pinata Wild will boost the multiplier by 1x. In addition, you can cash in a Bonus win if you cover all the reels by Pinatas. Play Betsoft slots at VideoSlots! Slot machines powered by the Malta-based software developer are more and more popular with gamblers around the world. It comes as no surprise knowing that Pragmatic Play equips them with exciting and rewarding bonus features. We have selected one of them to illustrate what we’re talking about. Da Vinci’s Treasure – This is one of the games where Pragmatic Play offers a bonus game with multiple options. In this case, one of them will be triggered at random. You can spin the wheel to move along the board and reveal awards, win free spins with a multiplier increasing up to staggering 60x and pick from the objects to win a cash prize. The highly volatile title introduces the gamble feature at the end of any of the bonus features. This novelty allows you to increase your winnings by up to 5x! Play Pragmatic Play slots at Black Diamond!